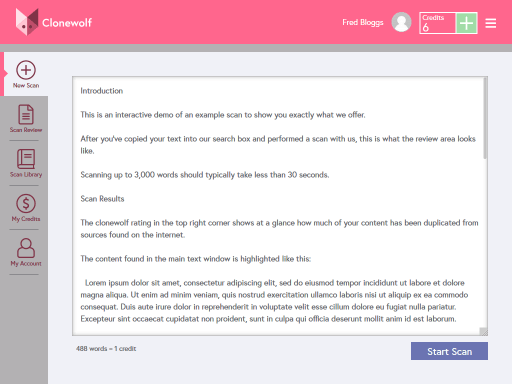 Copy and paste your text into our search box. This text will be checked for accidental plagiarism. 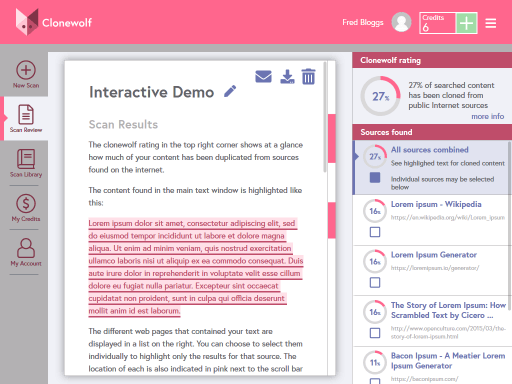 In less than a minute, Clonewolf performs lexical analysis on your text, scours the Internet, downloads web sources, compiles statistical analytics, and delivers results straight to your browser. 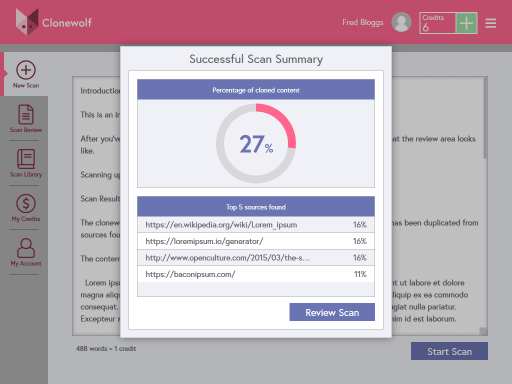 Your Scan Review will highlight any matches found on the internet. These websites will be listed on the right. Each one may be individually selected for a closer look. Email or download your detailed PDF report.